Sleepy Hollow Village Hall is located at 28 Beekman Avenue, Sleepy Hollow, NY 10591; phone: 914-366-5100. Photo: Edward Harden Mansion, ca. 1909, 200 North Broadway, Sleepy Hollow, NY. Listed on the National Register of Historic Places in 2004. Photographed by User:Daniel Case (own work), 2009, [cc-by-3.0 (creativecommons.org/licenses/by/3.0)], via Wikimedia Commons, accessed September, 2013. The Village was originally known as "Beekmantown" and later called "North Tarrytown" until December 10, 1996 when it was officially renamed "The Village of Sleepy Hollow" to commemorate former resident and renowned author, Washington Irving, who created the fictional story: "The Legend of Sleepy Hollow." During the Eighteenth Century, the primary land use in the Village was agriculture. The Village remained a predominantly agrarian community until the 1840's when the Croton Aqueduct was built and the Metro North Railroad was constructed along the Hudson River, marking the beginning of the transition from an agrarian society to an industrial one. During the late nineteenth century, mills and manufacturing facilities were constructed along the Pocantico and Hudson River waterfronts, attracting immigrant workers to the area. In 1899, the Mobile Company of America occupied what is now known as the General Motors (GM) site along the Hudson waterfront, followed by the Maxwell-Briscoe Company which manufactured the "Maxwell" at the site in 1904. In 1915, a General Motors plant was constructed, as well as employee housing for area workers, resulting in the development of the south side of the Village. Shoe and battery manufacturing were also major industries that became established in the area. 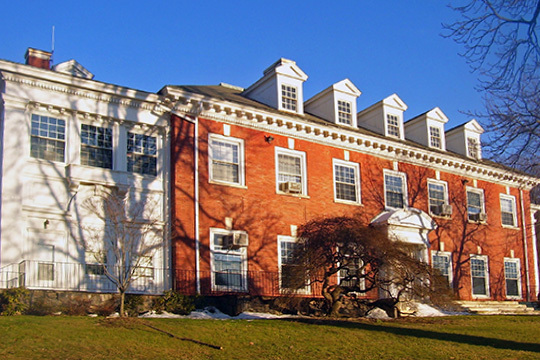 As suburbanization spread from New York City, more affluent residential development occurred on larger lots in Philipse Manor to the north, and millionaires like Anson Phelps, Ambrose Kingsland and John D. Rockefeller constructed beautiful mansions in the Village, some of which are, currently open to the public. Automobile manufacturing remained the foundation of the local economy for most of the 20th Century and was the largest single employer in the Village until 1996, when GM ceased operations in what was known as one of GM's oldest plants. In its day, as many as 5,000 workers were employed at the plant; however, during World War II, when the plant was producing wings, canopies and other assemblies for the Navy's "Avenger" airplanes, employment levels reached nearly 12,000 people. The assembly lines were a major employer of immigrants to the United States. The GM plant attracted a Cuban community and other minority groups to the area in the mid-1960s with the promise of good jobs and an opportunity for achieving the American dream; however, the closing of the plant in 1996, resulted in the loss of many jobs and a major impact on the local economy. Today, Sleepy Hollow's small-town charm and proximity to Manhattan has attracted residents and visitors alike, to enjoy a variety of outdoor recreational opportunities, historic landmarks, and natural scenic vistas. Village of Sleepy Hollow, prepared by Cashin Associates, P.C., Draft All-Hazard Mitigation Plan, April 2013, www.sleepyhollowny.gov, accessed September, 2013.